A strong shot of espresso every morning gives you a boost and powerful punch to keep you energized the whole day. If you are a coffee aficionado, you well know the fact that all the espresso is coffee but not all coffee is espresso. So, what creates the difference? It’s all about the magic of the special brewing process that makes the espresso a great flavor. But without the best espresso beans, it is not possible to get your favorite espresso shots. 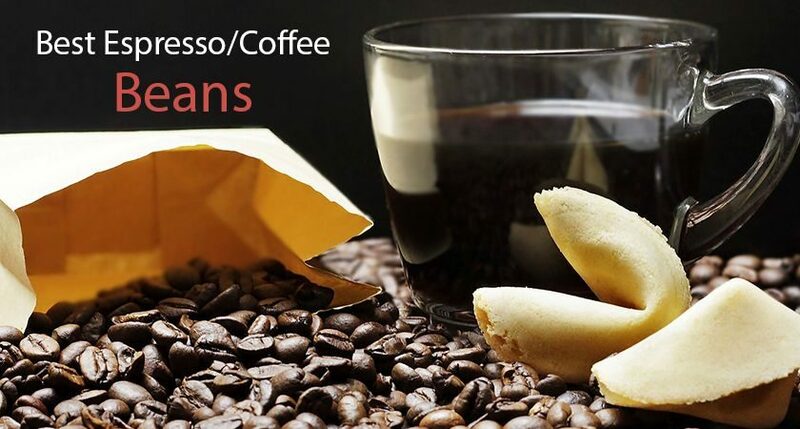 So, the blog is dedicated to all the coffee lovers to enjoy their favorite espresso shots using the best espresso coffee beans we have come up with, in this blog. To get your best espresso or coffee you must have best espresso beans. We have listed 7 high quality beans for you. If you don’t have time to read about all of them. Purchase Blue Tokai Coffee Roasters Thogarihunkal Estate without the second thought. It is one of the best bean available in the market. Read further if you want to know about others. Have a look at the detailed review of each our best picked espresso beans/coffee beans to make your favorite choice. 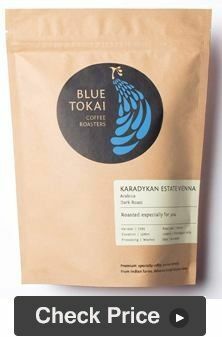 Blue Tokai comes with a great range of espresso beans. And this Vienna Roast from BlueTokai is great for all those who prefer the dark roast flavor. The most lovable part of these espresso beans is its aromatic flavor. Plus, you can get the right amount of bitter-sweet yet smoky flavor. 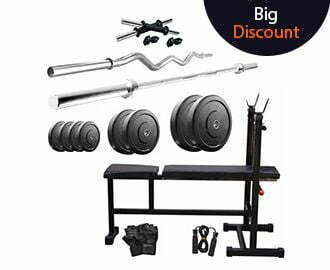 When it comes the quality, the product never fails to impress you. And it gives you the feel of real velvety texture of the coffee to refresh your mood. The very best part of the espresso beans from Blue Tokai is that the coffee is roasted right just after placing your order and you can easily see it with the aroma it holds. 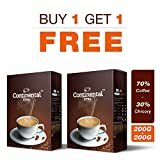 It is yet another popular choice for all the coffee lovers for its unique taste and amazing flavors combinations. 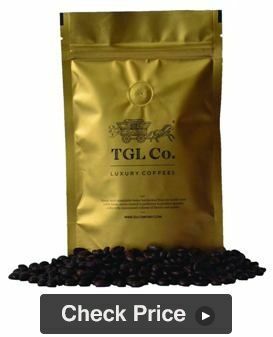 The Monsoon Malabar AA from TGL is 100% Arabica roasted coffee beans that taste light and mostly earthy, revealing the notes of fine mineral and chocolate towards the end and some in the aftertaste. The coffee beans are processed in the Unique Malabar style to offer you the unique flavor and extra smooth espresso. And the best part is that the coffee beans are freshly grounded to retain the better flavor. 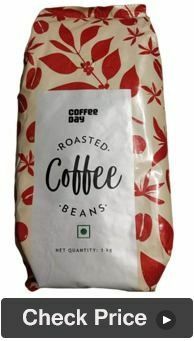 Another rich tasting and aroma filled coffee beans come from the grand Coffee Day giving you the most exciting flavors as well as the bold and strong cup of coffee. It is a mix of Arabica & Robusta. 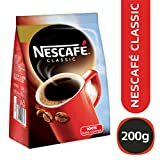 This makes the coffee strong in taste but also gives a slightly bitter taste if drunk as an espresso shot. What makes the taste even more fantastic is its small-batch roasting system that ensures an even roasting and long lasting freshness. These coffee beans go best with the drip coffee machines, pour over machines, French presses, and espresso machines without never compromising the taste. 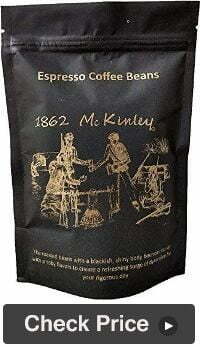 For all the health enthusiast, these whole espresso beans from 1862 McKinley is really a great choice. It comes with the antioxidant called “quinines” that gives a boost of energy to the brain. Flavor and aroma are just right to kick start a day. As it comes in whole beans, it brings you with enhanced aroma and essence to your regular sips. 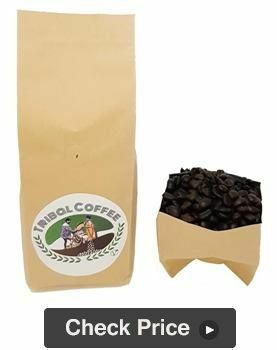 The coffee beans are also ideal for the fine grinding and coarse grinding so that you can use it for both drip coffee makers as well as espresso machines. It’s a dark roast coffee with a blackish and shiny body and offers you the smoky flavor. The best thing is that it tastes good and you can easily see that it has been freshly roasted. It is another best-in-class Arabica coffee beans to deliver the experience of rich and flavorful coffee every day. Its slightly sweet flavor with hints of chocolate, nuts, and caramel cherishes your every sip. 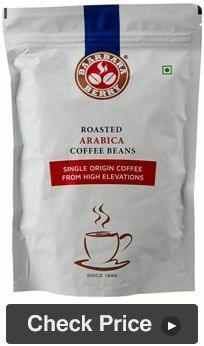 The Baarbara Berry Arabica coffee beans are medium roasted for an intense and aroma and great espresso with velvety crema and leaves no bitter aftertaste. 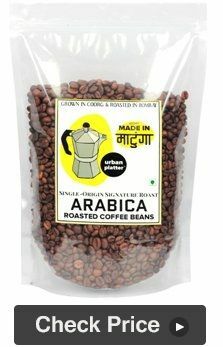 These coffee beans are ideally suitable with both espresso and drip coffee makers. The next comes the espresso beans from the brand Tribal Coffee originated from Araku Valley of the Eastern Ghats of South India. The blend is perfect for coffee and espresso lovers who want to enjoy their coffee with a light body. The specialty of these coffee beans is that these are rich in antioxidants called chlorogenic acid that helps in lowering blood pressure and also has weight loss benefits. So, for any health enthusiast, it is great way to start his/her day. You can choose among the light/medium/dark roast according to your preferences. The beans are freshly roasted just before your order, that keeps the aroma and flavor intact. And it gives you a deep and rich flavor if brewed right and ground fresh every time. The Urban Platter Roasted Arabica Coffee Beans are one of the most flavorful and delicious coffee beans, hence comes as one of the best in our list. It comes with a lot more advantages including great taste, decent price tag, caffeine count, and much more. 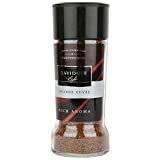 These coffee beans are roasted to perfection that will produce a lovely and velvety coffee. It has a deep and rich aroma which is not too strong on the palate. Even it does not leave the bitter aftertaste that many of the mixed beans do. The flavor you can get from the espresso beans is totally different from your regular powdered coffee. And good quality espresso beans are also very much important to relish upon the most refreshing coffee. Espresso beans have been pressed and dark roasted to give you the ultimate flavor. But before choosing the best espresso beans for your coffee, you must think first about the flavor profile of your favorite coffee drink. Let’s get understand in a simple way. For exp, if you like the bitter flavor, you must go for the dark roast blend. If you are a subtle flavor lover, go for the espresso beans with a lighter roast. Choose the coffee beans of depth color but not too dark. Also, check the aroma of the beans to know whether it is properly roasted or over-roasted. It is also very much important to check the roasting date on the bag. If it is older than 90 days, then avoid to purchase it. If you prefer milk-based drinks like cappuccino or latte, you must go for rather a dark roast. 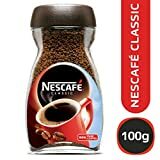 Do not buy the espresso beans from the open tins as the air can degrade the quality of the bins and result in an inferior espresso. Dark coffee beans generally make sweet coffee as they come with natural sugars that have caramelized. When the roasts get darker, their acids and caffeine content are burned off. And so, lighter coffee is less sweet, bitterer and more acidic. It is best to invest in a sample of small bag of coffee beans first. Go for the larger bag only if you are satisfied with your previous purchase. For a great cup of coffee, grind the coffee beans immediately before brewing. Always choose an airtight container to store the espresso beans. Preheating of all the equipment including cups and portafilter before brewing delivers a rich flavored coffee. Choose the good water filter for your espresso machine that prevents the minerals from getting deposited in your coffee machine. And thus, it delivers great tasting coffee. That’s all about the review of best espresso beans/coffee beans for extremely, rich, velvety, smooth and flavor-rich coffee. I am sure the buying guide of best espresso beans will help you choose only the best one. If anything you feel missing in the content, as well as for any of your suggestions or comments, please do write in the comment section below.